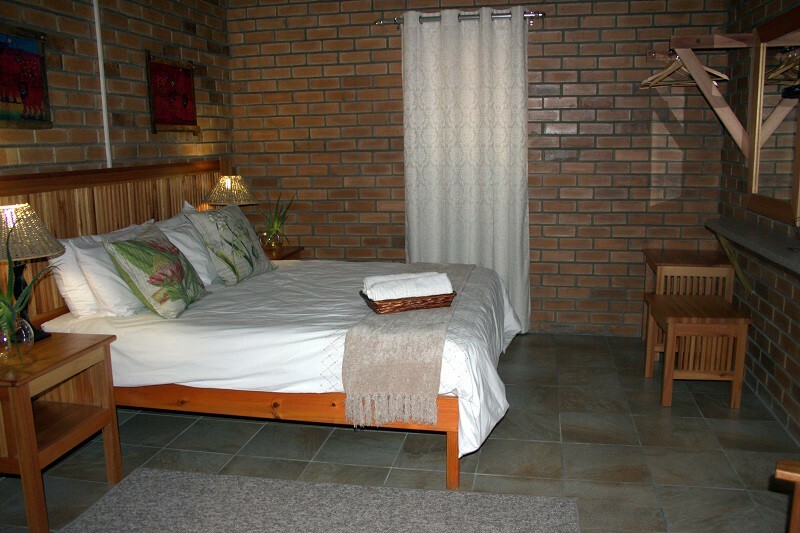 A Traveller's Palm is an established and popular B&B located a mere five minutes drive from the Kruger National Park central gate. 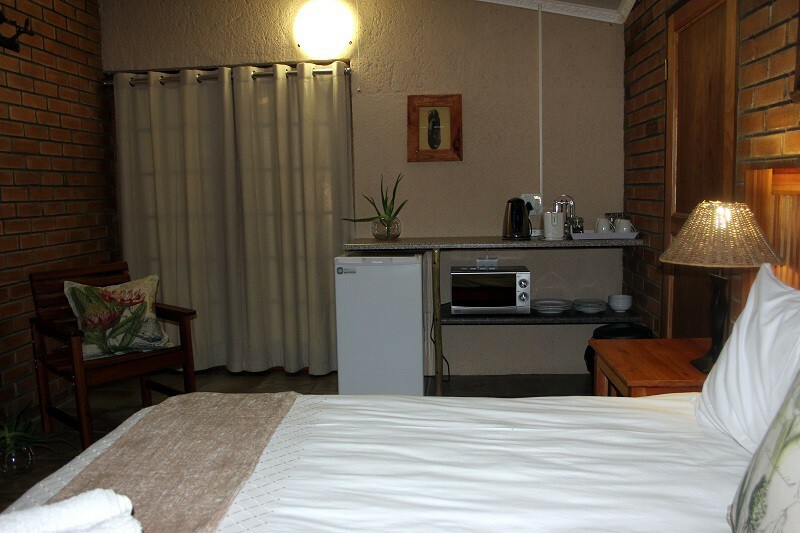 Unwind in our affordable air - conditioned rooms with en-suite bathrooms, Compact DStv, Wi-Fi, Lapa & Pool with braai facilities. 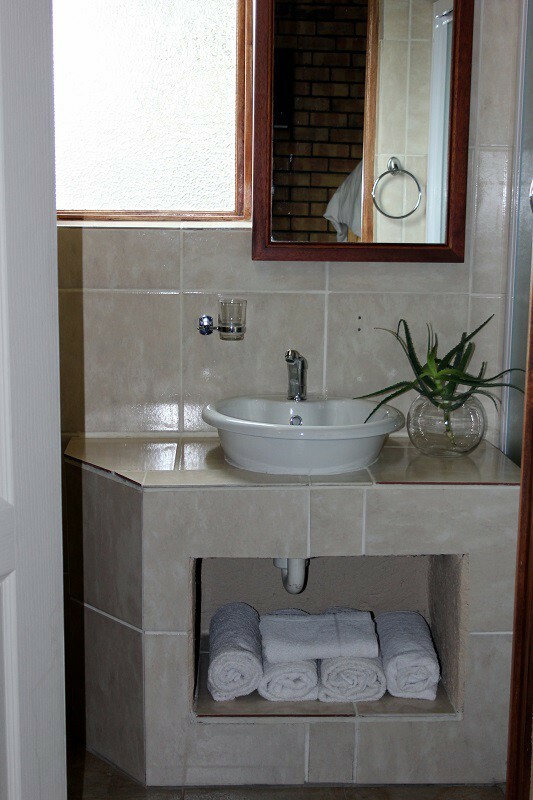 At A Traveller's Palm you will find that most rooms have an en-suite bathroom with a shower, clean linen, selected DSTV Channels in all rooms with (except Room 3 that has full DStv), free Wi-Fi, Bar fridge, Coffee and Tea facilities. Breakfast and dinner can be made at your request. Should you wish, you could start your day with a hearty breakfast in the lapa, with a display of indigenous birds in the garden. On a hot summer's day you can cool down in the pool and enjoy a cold beverage. At night you can enjoy the African star studded skies while sitting around an open fire enjoying a Traditional South African braai. A lapa with tables and chairs, Fan, music, Dart board etc. 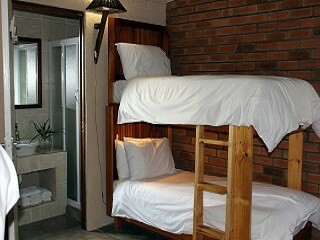 available for your relaxation. A Traveller’ Palm is an ideally situated base from where day excursions can be enjoyed into the well renowned Kruger National Park and surrounding attractions such as Kambaku Olifants River Safaris, Blyde River Canyon, the Panorama Route, Kapama Endangered Species Project, Moholoholo Rehabilitation Center, Tshukudu Walk with the Wild and local birding areas and so much more.